Same-Way is a ride-sharing app especially designed for those who want to avoid heavy traffic at minimum to no costs. 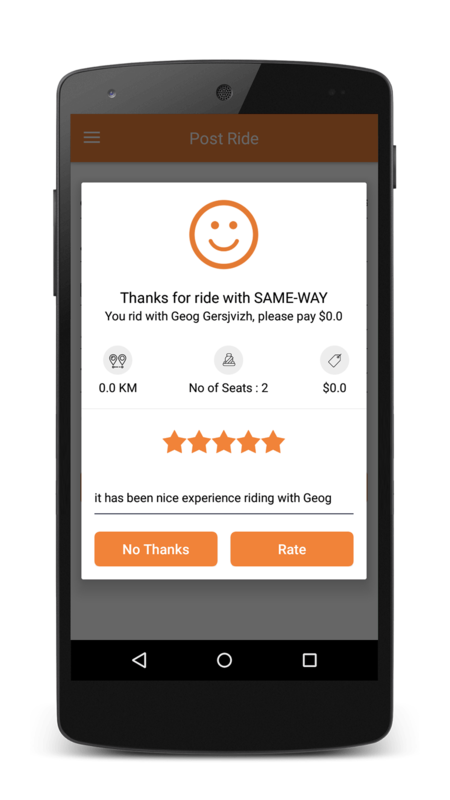 Same-Way allows its users to get together and use public transportation routes toll-free and share inner city and inter-city rides. 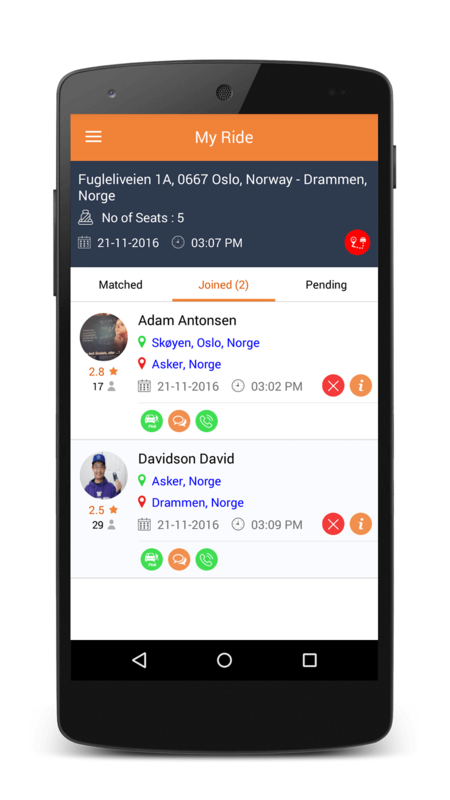 It is a user-friendly app with easy and fast search and match features and direct and indirect, textual and vocal communication options between users who share a ride. Same-Way helps you get to your destination whatever and wherever it may be. Same-Way matches between drivers and passengers who share the same or similar routes for different business or pleasure purposes. It helps saving energy and time resources to the benefit of its user and the environment. 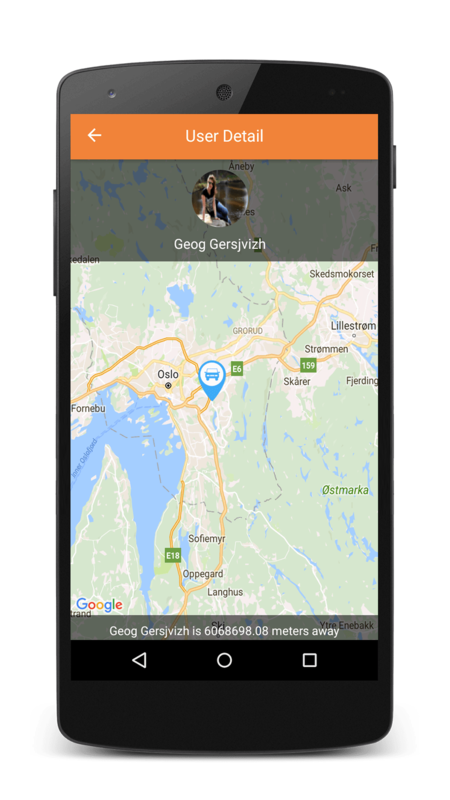 First post a ride by filling some details such as your name, location and time of pick-up, and click the Post ride button. Then you can search the ‘Review Matching Same-Way rides’. Same-Way app will show you the rides that match your needs. Review your options based on vehicles or drivers and look for a Match on Same-Way. You can find a list of ride options that suits your needs or locate a match on the map. Same-Way app will show you current rides that best suit your needs. Book your trip. You can accept or decline a request to join a ride. To make sure, you can chat with your ride partner through Same-Way. Same-Way also allows you to call and talk to them directly on the phone. Click Start Ride when you start driving. Same-Way will send a message to passenger subscribers on the start of your trip. View requests for a ride booked to your ride. Select the bookings you want and approve. Reach the point of pick-up and let the passengers on board. Send request to other user to join on your route and share ride with you. If user request received does not seem on your route and matches with your time then you can reject or ignore the request. If user request received seems on your route and matches with your time then accept the request. This is for drivers, where driver click on Start Ride icon and driver ride is started immediately. If any user wants to cancel his/her ride before it is started then he/she can click on cancel ride button . Driver needs to click on Pick passenger icon to pick the passenger. Driver needs to click on Drop passenger icon to drop the passenger. If you do not find any exact match on your route then you can select this option to see users passing nearby your route. When driver wants to end his/her ride then he/she can click on end ride button. When any user feels calling to know exactly where another user is then use this button to call. Along with call there is chat option as well which lets do peer to peer chat. Technical requirements for the use of Same-Way app can be found here: App Requirements. I take the bus / bike / vanpool to work. How can Same-Way help me? If you drive a bus / bike / train / or any public transport you are already doing something great for our roads and planet. We love all of these modes also. But there are days, when these options are not feasible, available or frequent. For example, detours of public transport that make you spend many hours on the road, a rainy day when you may not want to bike, or when you are late for work and just missed your bus or commuting. Same-Way is especially useful for isolated locations. If you find yourself in this situation, try out Same-Way. Same-Way is flexible and can be used from a single trip to regular ride-sharing. Remember that Same-Way is a new app, so please make sure you have an alternative plan in case you can not find a match. Same-Way does not interfere in any agreement for payment or sharing expenses. This is up to you users to decide among yourselves. Our advice is that you calculate your expenses according to distance, using a rate of 0,10 cent of US dollar per kilometer for the amount of fuel spent. However, it’s up to you to decide whether the costs should be divided between you. In any case, you can determine by yourselves how to divide the ride costs in any way you see fit, based on the length of your drive or any other criterion. Our drivers are commuters who offer trips on the way to and back from work or just when driving the same direction as you do, offering vacant seats at the disposal of others. Same-Way cuts out transportation costs, saves you time and money and helps the passengers and environment at the same time by using dedicated fast lanes. Generally, you will find Same-Way drivers to be your friendly neighbor or colleague and so the ride itself pleasant and agreeable. Should I sit in the front or back seat? Can I bring a pet along to the ride? concerns, so do not take it personally if your request is denied. Remember that our drivers are not professional taxi drivers. demand them to host pets. How can I determine if a driver or passenger is OK? How can I rank his or her character? We at Same-Way are working to build a community with highest standards of drivers and passengers. Ranking is a way you can give your feedback on the driver and passenger and how they meet your expectations. Your contribution will affect Same-Way community. This is only optional, but highly recommended. We use a simple 5-star bellowing system. After every trip, a passenger can rank the driver and vice versa. For example, you can a rank the driver or passenger as friendly and considerate in a scale from 1 to 5 so that we can assess, whether he should provide his service through Same-Way again or not. 5 stars mean that the trip was great. 4 stars would mean that you are happy, but there is room for improvement. Any rating of 3 stars and below indicates that you were not so much satisfied with the trip. If a driver’s average falls below 3 of 5 stars, we will profile him and take action. I came to the rendezvous point, but the driver did not arrive. What should I do? What about smoking, eating or opening containers? What if I'm not comfortable getting on the driver's car? so that we can take immediate action. We appreciate your input so that we can improve security and comfort of our services. sexual orientation. Passport goers and drivers who violate discrimination policy are liable to be removed from the system. Where should I report other users? If you experience a problem during the trip, be sure to take the necessary steps to protect yourself and get to a safe place. Call the authorities if necessary, and send us a quick message. We have zero tolerance policy on drugs and alcohol for drivers. to protect yourself and leave the car as soon as you can. You may also report the driver to the local authorities immediately. Please let us also know. We collect reports about our drivers and take action accordingly. Time is money, and Same-Way saves you both. Motor fuels cost a lot. You would rather drive with others in one car and save time and money. Same-Way lets you get to know others and drive the same way with them. Same-Way helps you to create a better world for all of us. Same-Way helps you find, connect and carpool with others going your same way. without any long term commitment. Every Same-Way trip is a single trip. Whether passenger or driver, Same-Way helps you save time, money and nerve wrecking wait in traffic jams. air and reduced pollution, saves your time and money and provides you with many other benefits. We at Same-Way help you find and connect with those others who go the same way as you do. 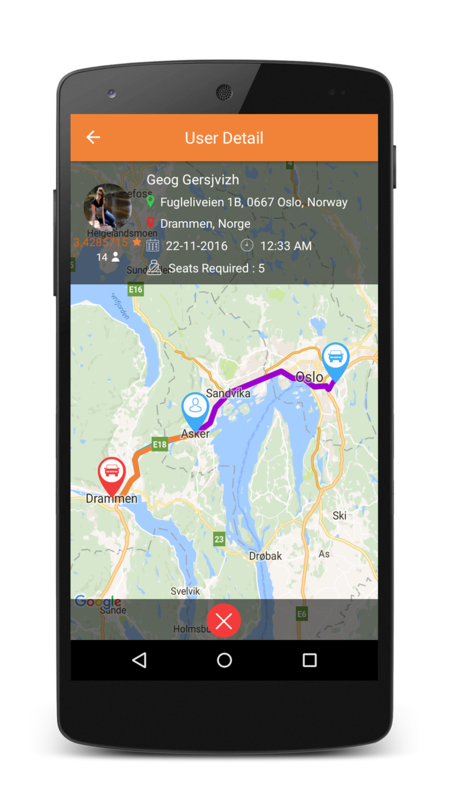 Same-Way is a mobile app that immediately helps you find and connect with road travelers the same as you.